If you lead an inactive life or are overweight but have a keen interest in getting into shape, a workout that includes walking or a stair stepper machine is a suitable choice. Both types of workouts won't help you burn calories as quickly as such activities as running or jumping rope, but you'll likely find the former activities easier than the latter. It's easy to discount the benefits of walking because of its simplicity, but a workout regimen that includes walking is helpful in a number of ways. According to Dr. Oz and Dr. Roizen in an article for Sharecare, walking helps boost your immune system, reduce the risk of developing diabetes and even improve your mood. Other benefits include improving the health of your heart, helping you lose fat, lowering your stress level and keeping your brain healthy. Stair stepper machines are common at many gyms, and a mini stepper is a scaled-down version of the machine designed for home use. The device consists of a body and two foot panels and is small enough to make storage easy. Using a mini stepper provides similar benefits to walking, but a key benefit of using the machine is convenience; if you don't feel like walking outdoors, perhaps due to inclement weather, you can use the machine for a thorough indoor workout. 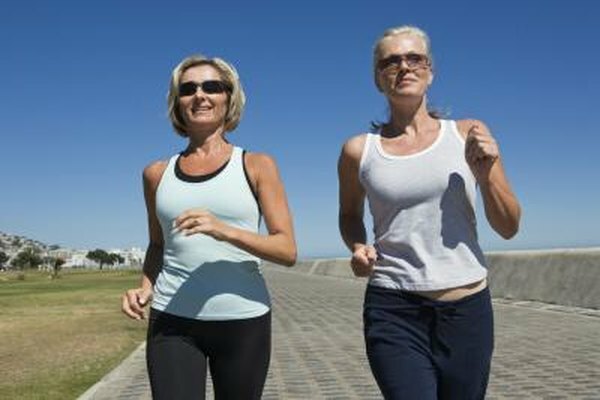 The calories you can expect to burn during a cardio exercise such as walking vary according to the speed at which you walk, the length of the walk and your weight. If you weigh 175 pounds and walk at a speed of 3 miles per hour for 90 minutes, you will burn approximately 519 calories. If you're able to maintain a pace of 4 miles per hour, you'll burn 614 calories in the same amount of time. Using a mini stepper is comparable to walking, given that with the machine, you're essentially walking on the spot. The chief difference is that you can adjust the stepper to increase its resistance, which helps you burn calories at a faster rate than walking. A 175-pound person who uses a stepper for 90 minutes will burn 834 calories, which makes this type of workout slightly more beneficial than walking.